Vint Cerf, now a Google vice president, is often called the "father of the Internet." He admits that when he and his team created the Internet, he never imagined how it would turn out. "I just stood there thinking, 'My God! Somebody thinks they're going to make money out of the Internet.' " Cerf was surprised and happy. "I was a big proponent of that. My friends in the community thought I was nuts. 'Why would you let the unwashed masses get access to the Internet?' And I said, 'Because I want everybody to take advantage of its capability.' "
They made it possible to surf the Internet anonymously — unlike a telephone, you don't have a unique number that announces who you are. We know how that turned out. People with less lofty ambitions than Cerf used that loophole for cybercrime, international espionage and online harassment. Cerf admits all that dark stuff never crossed his mind. "And we have to cope with that — I mean, welcome to the real world," he says. While Cerf and his colleagues were busy inventing, the young aspiring science fiction writer William Gibson was looking for a place to set his first novel. Gibson was living in Seattle, and he had friends who worked in the budding tech industry. They told him about computers and the Internet, "and I was sitting with a yellow legal pad trying to come up with trippy names for a new arena in which science fiction could be staged." The name Gibson came up with: cyberspace. And for a guy who had never seen it, he did a great job describing it in that 1984 book, Neuromancer: "A graphic representation of data abstracted from the banks of every computer in the human system. Unthinkable complexity. Lines of light ranged in the nonspace of the mind, clusters and constellations of data. Like city lights, receding." But, it isn't just the Internet that Gibson saw coming. In Neuromancer, the Internet has become dominated by huge multinational corporations fighting off hackers. The main character is a washed-up criminal hacker who goes to work for an ex-military officer to regain his glory. And get this: The ex-military guy is deeply involved in cyber-espionage between the U.S. and Russia. Gibson says he didn't need to try a computer or see the Internet to imagine this future. "The first people to embrace a technology are the first to lose the ability to see it objectively," he says. He says he's more interested in how people behave around new technologies. He likes to tell a story about how TV changed New York City neighborhoods in the 1940s. "Fewer people sat out on the stoops at night and talked to their neighbors, and it was because everyone was inside watching television," he says. "No one really noticed it at the time as a kind of epochal event, which I think it was." After years of covering Silicon Valley and speaking with brilliant inventors, I found Gibson's point a revelation. Our tech entrepreneurs are focused almost exclusively on how their devices will be used by individuals — not how those devices will change society. They want to make things that are addictive and entertaining. That is why I've started to take science fiction more seriously. Among the sci-fi artists looking at today's latest technologies is Charlie Brooker, the creator and writer of the Netflix show Black Mirror. Brooker has a certain amount of frustration with the leaders in tech. "It's felt like tech companies have for years just put this stuff out there," he says. "And they distance themselves from the effects of their product effectively by saying, 'Oh, we're just offering a service.' "
Brooker sees each new technology more like an untested drug waiting to launch us on a very bad trip. Each episode of Black Mirror is like its own laboratory testing a technology that is already out, but pushing it by mixing in common human behaviors and desires. In one episode, everyone ranks one another on how well they interact socially in real time. It's like Yelp on steroids. The result is a nightmare society — every smile is forced; it's impossible to be honest with anyone. In another episode, a grieving women hires a service that scans social media and other accounts of her deceased lover. It uses the information to bring him back as a humanoid robot. He speaks and responds almost exactly like the man she lost. And in case you're wondering: Such technology is already in the works. "I could scarcely have invented the shoe," Brooker says. "I'd be worrying that that would restrict your feet." 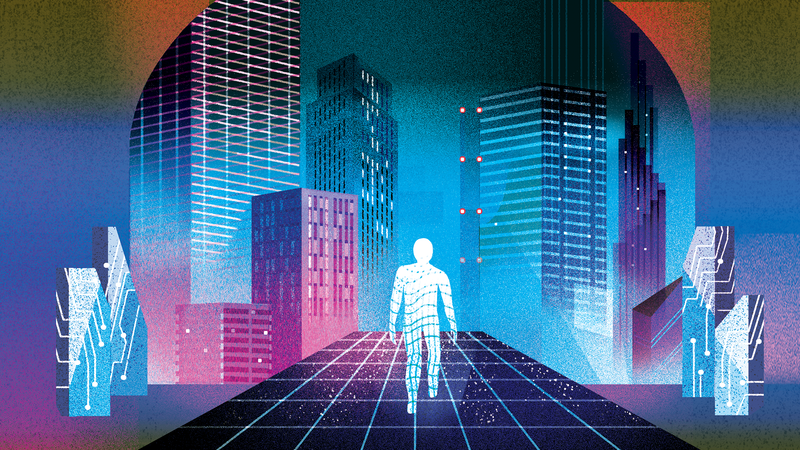 "It's the mind-stretching practice of trying to think what the implications of technology will be that makes me enjoy science fiction," Cerf says. "It teaches me that when you're inventing something you should try to think about what the consequences might be." The artists are the ones who recognize a fundamental truth: Human nature hasn't changed much since Shakespeare's time, no matter what fancy new tools you give us. If you want to see the future of technology, listen to people who break boundaries with it. Criminals do that, using tech to break the law. Artists also do that, thinking about the implications of technology in ways the rest of us may not. We're hearing from both in the days ahead, beginning with the science fiction visionary who talked with NPR's Laura Sydell. LAURA SYDELL, BYLINE: Most tech entrepreneurs and scientists will tell you they want to change the world. And they have, but often in ways they never intended. I've wondered, why is it so hard for these people to imagine the full impact of their inventions? 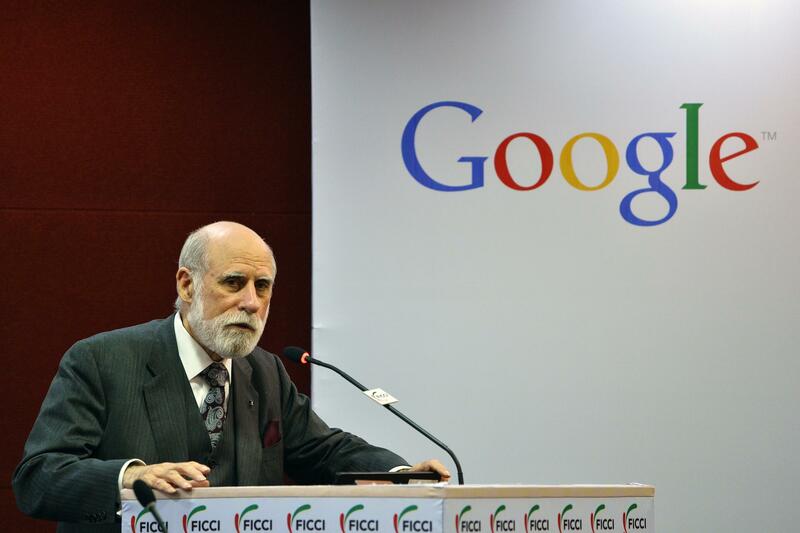 VINT CERF: My name is Vint Cerf. SYDELL: Vint Cerf created the Internet. Really. When Cerf and his team were working on the Internet in the early 1980s, they imagined a world where the best and brightest would have access to unlimited information, where scientists could share data across the globe and tackle the world's most vexing problems. As soon as they built the Internet, others saw its potential, too. In 1988, Cerf went to the first conference for Internet companies. CERF: I just stood there thinking, my God, somebody thinks they're going to make money out of the Internet. SYDELL: Did it scare you at all when they decided to commercialize the Internet? CERF: No, no. I was a big proponent of that. My friends in the community thought I was nuts - why would you let the unwashed masses get access to the Internet? And I said, because I want everybody to take advantage of its capability. SYDELL: Clearly, Cerf is an optimist. That's what allowed him to dream big. But in retrospect, some of the decisions his team made seem hopelessly naive for a bunch of geniuses. They made it possible to surf the Internet anonymously. Unlike a telephone, you don't have a unique number that announces who you are. We know how that turned out. People with less lofty ambitions than Cerf used that loophole for cybercrime, international espionage, online harassment. CERF: And we have to cope with that. I mean, welcome to the real world. SYDELL: Did you even have a clue that any of this other stuff would come along? Did it even dawn on you? CERF: You know, well, to be honest, no. SYDELL: But as Cerf was creating the Internet, someone else from a much less esteemed group was imagining its dark side with startling accuracy, science fiction author William Gibson. In the early 1980s, Gibson was a struggling writer living in Seattle. He didn't even own a computer, but he'd heard about the Internet. WILLIAM GIBSON: I was sitting with a yellow legal pad trying to come up with trippy names for a new arena in which science fiction could be staged. SYDELL: The name he came up with? GIBSON: Cyberspace, a graphic representation of data abstracted from the banks of every computer in the human system. Unthinkable complexity. Lines of light ranged in the non-space of the mind. Clusters and constellations of data like city lights receding. SYDELL: Listen to that. He understood the potential scale of it, all those computers connected together. That passage is from his breakout novel, "Neuromancer," which came out in 1984. In "Neuromancer," Gibson predicts that the Internet will be dominated by huge, multinational corporations fighting off hackers. The main character is a washed-up criminal hacker who goes to work for an ex-military officer to regain his glory. And, get this. The ex-military guy is deeply involved in cyberespionage between the U.S. and Russia. How was Gibson able to see what Cerf and others were blind to? Gibson says it's because he's always been fascinated by the way humans behave around technology. GIBSON: I held off getting on the Net for a decade deliberately so that I would be able to watch people using it. SYDELL: Gibson likes to tell a story about how TV changed New York City neighborhoods in the 1940s. GIBSON: Fewer people sat out on the stoops at night and talked to their neighbors, and it was because everyone was inside watching television. No one really noticed it at the time as a kind of epochal event. SYDELL: After years of covering Silicon Valley and speaking with brilliant inventors, Gibson's point was a revelation to me. Our tech entrepreneurs are focused almost exclusively on how their devices will be used by individuals, not how it will change society. They want to make things that are addictive and entertaining. That's why I started to take this other form of entertainment more seriously, science fiction. Take the Emmy Award-winning dystopian Netflix drama, "Black Mirror." SYDELL: Charlie Brooker is the creator and writer. CHARLIE BROOKER: It felt like tech companies have, for years, kind of just put stuff out there and they distanced themselves from the effect of their product effectively by saying, we're just offering a service. SYDELL: Brooker considers each new technology more like an untested drug waiting to launch us on a very bad trip. He tests it in the not-too-distant future. In one episode, a grieving woman signs up for a service that will recreate her deceased lover. It uses his social media accounts, email, YouTube. DOMHNALL GLEESON: (As Ash) Hello? HAYLEY ATWELL: (As Martha) Hello. You sound just like him. GLEESON: (As Ash) Almost creepy, isn't it? SYDELL: Yes, it is creepy, especially because services like this are already being invented. Writers like Gibson and Brooker are examining so-called innovations and asking is this really what evolution looks like? BROOKER: It's a bit like we've suddenly all sprouted an extra limb and we don't quite know how to use it, and so we flail around and sort of knock the furniture over. We're learning how to use these things. And in the meantime while we're learning how to use it, we're making mistakes. SYDELL: Brooker is able to see the pitfalls with startling clarity. He says it's because he's very, very good at worrying. BROOKER: I could scarcely have invented the shoe, you know? I'd be worrying that that would restrict your feet. Maybe there should be a council of very worried, naturally worried, worrisome people who look over (laughter) all new technological developments and kind of rank them for potential harm. (Laughter). SYDELL: It's not a bad idea, but of course we also need those brilliant optimists who charge forward with their vision, and we need those dystopian visionaries. Vint Cerf, the father of the Internet, reads science fiction. CERF: It's the mind-stretching practice of trying to think what the implications of technology will be that makes me enjoy science fiction. SYDELL: The artists are the ones who recognize a fundamental truth - human nature hasn't changed much since Shakespeare's time, no matter what fancy tools you give us. Laura Sydell, NPR News. Transcript provided by NPR, Copyright NPR.